The rising low tide in Dublin Bay approaches the Bull Wall. The exposed seabed looks glorious, gently lit by the glow of the city. 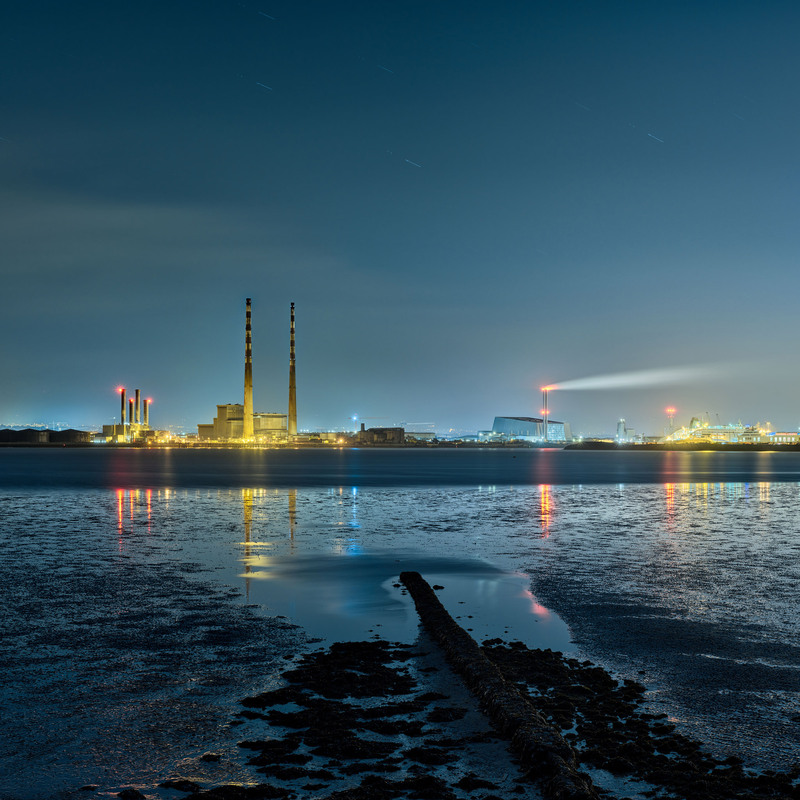 A perfect Dublin nightscape.